After a long wait, the updated MacBook Pro models have finally arrived. We put the most powerful model with its glossy 1440 x 900 screen to the test, and ask whether it is truly worth the high price. After a long delay (rumoured to be caused by availability issues with the Core i5 and i7 processors) Apple has finally released its refresh of the MacBook Pro range. The 15-inch model is one of the lightest multimedia notebooks in its class. Very few notebooks, generally consumer ultra-low voltage models with weak processors (e.g. the MSI X-Slim X610), are noticeably lighter. 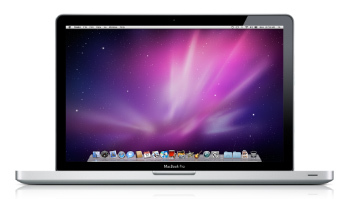 The MacBook Pro 15 comes in three different versions, with a range of processor speeds (dual core, 2.4 - 2.66 GHz). The versions also differ in hard drive capacity and graphical memory. 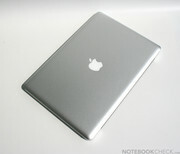 In addition, you can customize the notebooks to a certain extent in the Apple Online Store as you buy them. 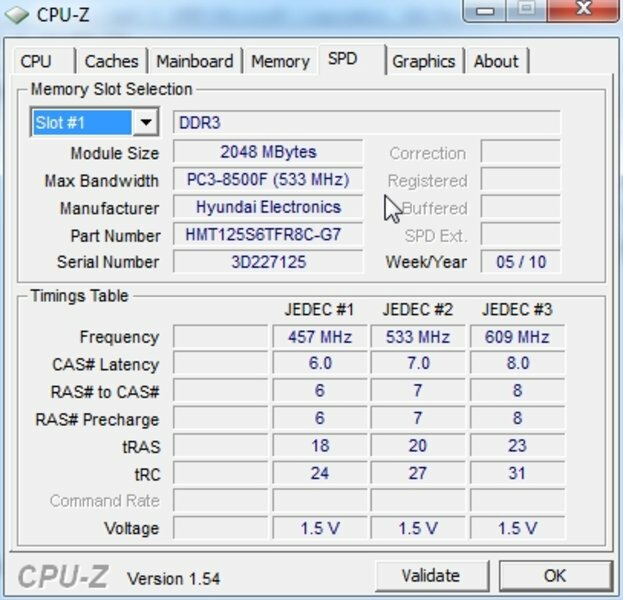 You can increase the RAM up to 8 GB DDR3, choose SSDs with up to 512 GB, and also upgrade the display, which we find especially interesting. This allows you to order a high-res version with 1680 x 1050 pixels (currently €90 extra). For a further €45 you can get a so-called 'antiglare' version (which probably has a lightly roughened surface like the old matt 17-incher). Our test model is the most powerful version with a 2.66 GHz Core i7-620M dual-core processor, along with 4 GB of DDR3 RAM, a 500 GB, 5,400 rpm SATA hard drive and a 1440 x 900 reflective LED screen. 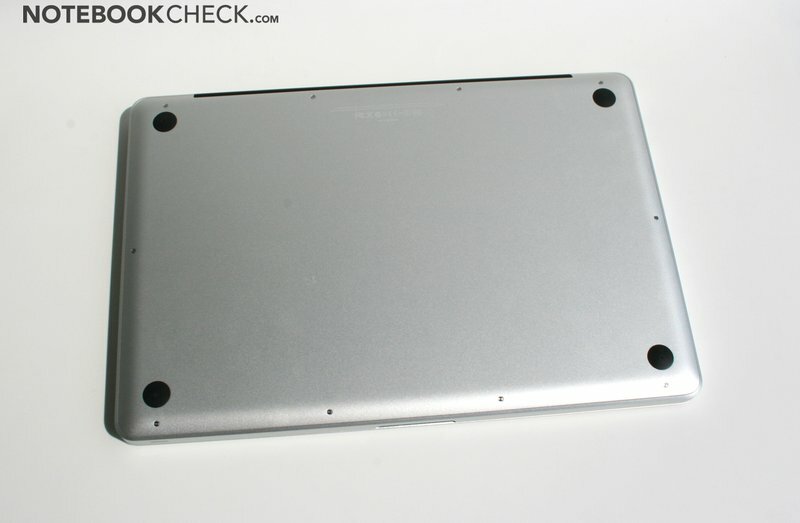 The outstanding unibody enclosure is unchanged in this latest generation of MacBook Pros. It is still impressive thanks to its unparalleled robustness, workmanship and good feel. The sleek and timeless design is still convincing even after more than a year. The only area of concern is the sharp front edge of the machine, which starts to dig uncomfortably into the forearm when you use it on your lap for a while. In this instance, Apple has put appearance ahead of functionality. 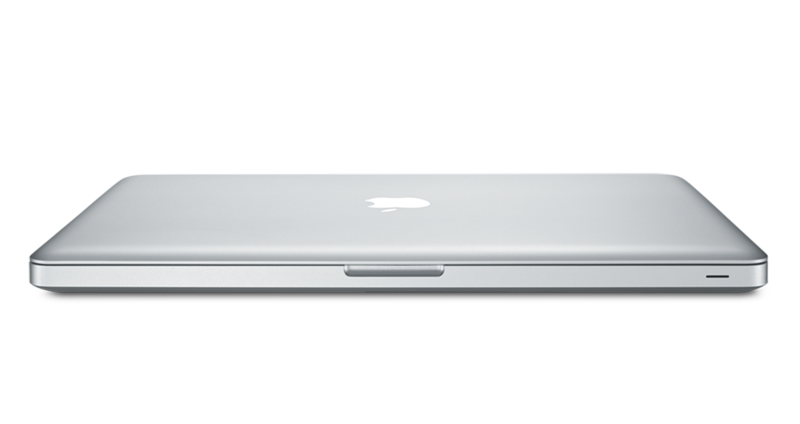 New for this model is the silver Mag-Safe power socket, already familiar to users of the white MacBook and the MacBook Air. It is a much better fit for the aluminium case, and it means that the power cable (now rubber-coated) leads directly to the back of machine where it is out of the way. Because of the greater maximum energy consumption of the Core i7 processors, a larger 85 Watt mains adaptor has been used, although possibly it is still not quite enough - more of which later. 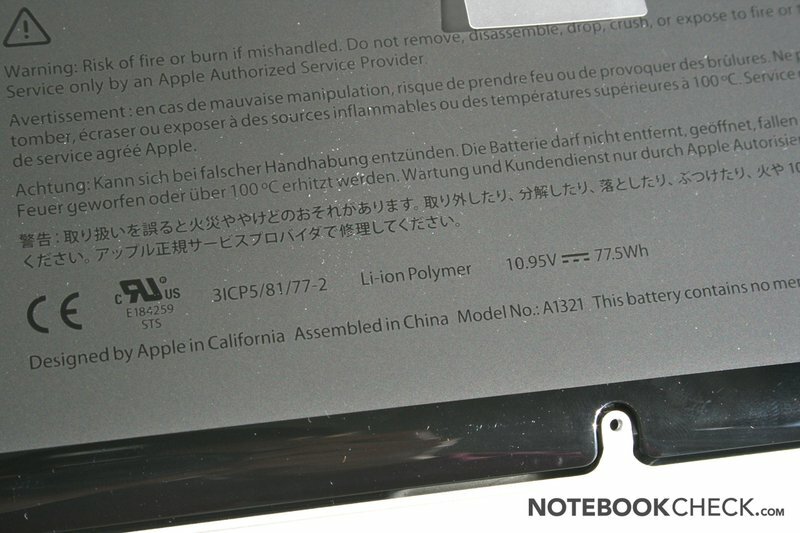 The MacBook Pro 15 is also a few grams heavier because of the slightly larger battery (77.5 Wh as opposed to 73 Wh). 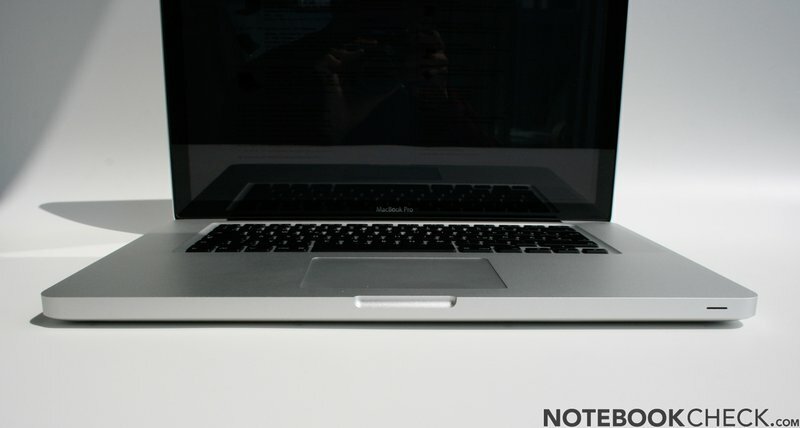 But it is still the thinnest and lightest notebook with this screen size and this level of performance. 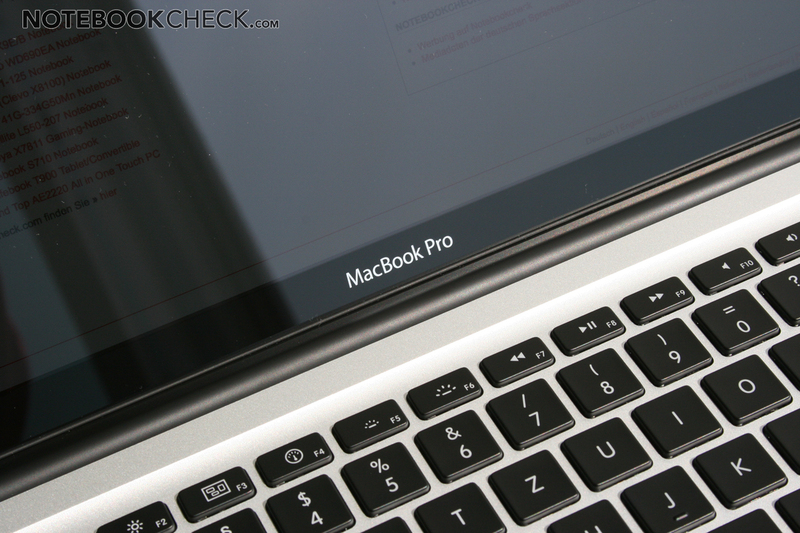 Regretfully, Apple has been very sparing with the physical ports, as is usual for MacBooks. 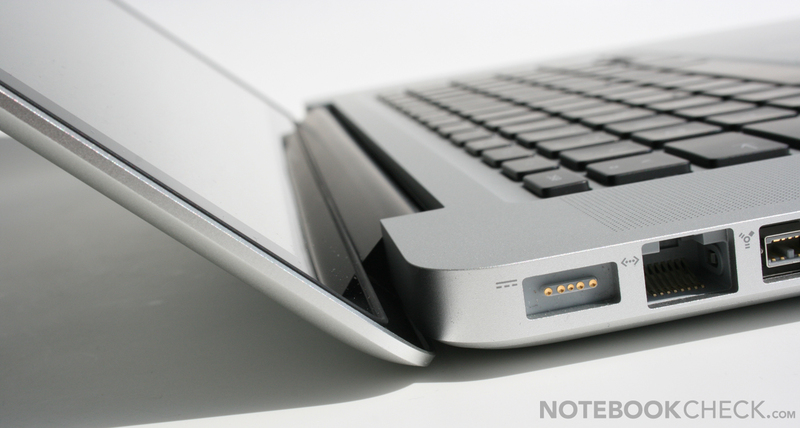 Only two USB ports for a 15-inch notebook is really pitiful. Any output peripherals without a DisplayPort connection require expensive additional adapters (such as VGA or HDMI for a TV or projector). Instead of a fast eSATA connection for external hard drives, Apple continues to rely on the rarer FireWire 800 interface. Also, many had hoped to see a USB 3.0 port on the new model but they will be disappointed. With no ExpressCard slot or docking station port, it is not easy to extend the range of ports. However, Mac enthusiasts are unlikely to be too concerned by the limited ports, since Apple eases the pressure on the USBs in other ways, such as its Magic Mouse and wireless keyboard. Only one small thing has changed since the previous model. The mini-DisplayPort now appears to support audio ouput via an HDMI adaptor. During the course of our testing we tried combining the Apple mini-DisplayPort to DVI adaptor with a passive DVI to HDMI adaptor, but we were unsuccessful (there were no other output sources available to choose from in the settings). Possibly this would only work with direct DisplayPort to HDMI adaptors which also support audio output. 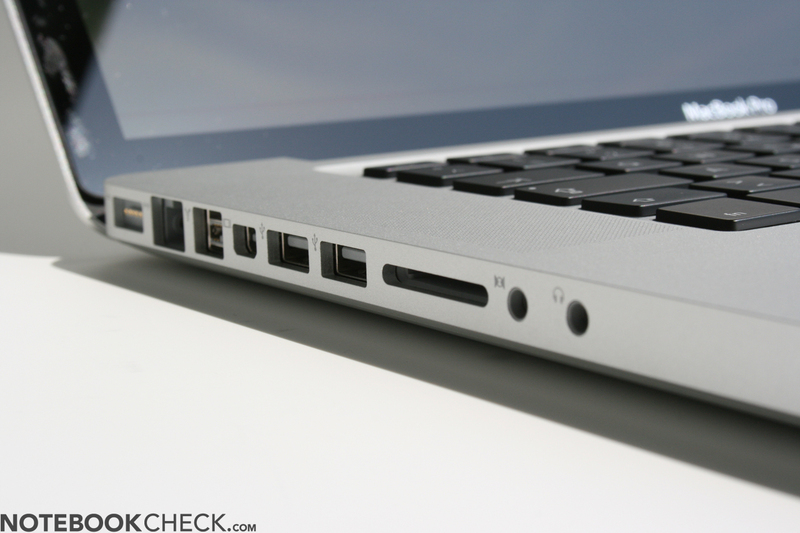 All ports on the latest Apple MacBook Pro models are on the left-hand side. This is very practical for right-handed people, but the ports are so tightly packed that wider memory sticks or a DisplayPort adaptor other than Apple's own could cover neighbouring ports and make them unusable. The wireless connections are impressive on this luxury Apple notebook. Apple have included a Broadcom BCM943224PCIEBT Half-Minicard for Bluetooth 3.0 and dual-band 802.11 n WLAN (called Airport Express). This worked without any problems during our testing, in conjunction with a Trendnet TEW-633GR router. 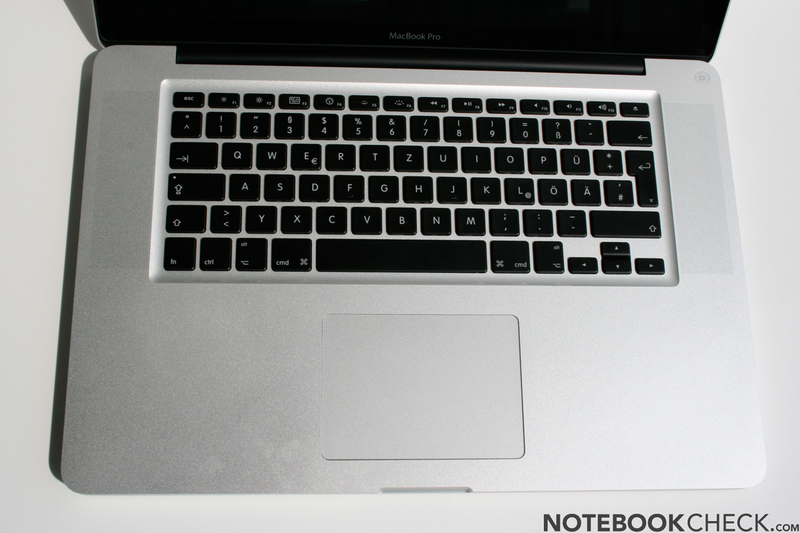 On the front edge of the notebook Apple has kept the infra-red receiver (uni-directional) for the optional Mac Remote. As usual, the pre-installed software is the latest version of Mac OS X (currently 10.6.3) and the software packet iLife 09. However, a Windows license is not included and would have to be acquired separately by those interested in using Boot Camp to dual boot. The comfortable pebble-style keyboard has not been altered, and matches the current Apple desktop keyboards. The keys sit firmly in the unibody casing, and offer a short stroke depth with well-defined tactile feedback. Impact is pleasantly quiet and the keys are a good size, other than the rather slim enter key. However, the layout does take a lot of getting used to if you've only ever used Windows laptops in the past. In our opinion the pebble-style keyboard is very comfortable to use, and we could immediately start touch-typing without a problem. The keyboard backlighting is a handy additional feature. Regulated by a sensor, the brightness varies smoothly, depending on the ambient light, which can make it much easier to work in poor lighting conditions. The very large touchpad made of glass is still captivating, thanks to its silky smooth surface. A new feature is so-called 'inertial scrolling', where you can quickly scroll in all directions by pushing with two fingers as if using a scroll wheel. This works just like on the iPhone or the Magic Mouse, and after just a few seconds you would not want to do without it. As well as inertial scrolling, the multi-touch pad supports other gestures with three and four fingers such as rotating, zooming and other OS features - although sadly only for Mac OS X at the moment. 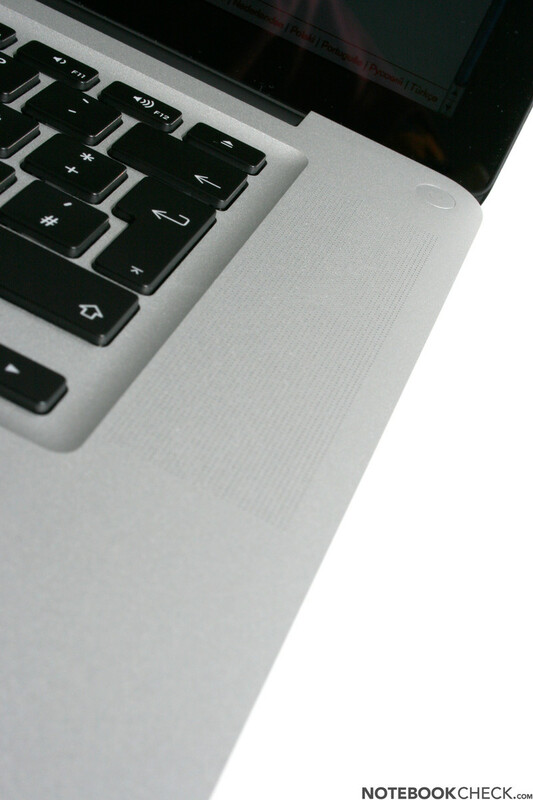 As before, the lower four-fifths of the trackpad can be treated like a mouse button, doing away with the need for separate buttons. This system works very well, particularly in the lower region of the pad, allowing you to use the touchpad efficiently with only one finger. 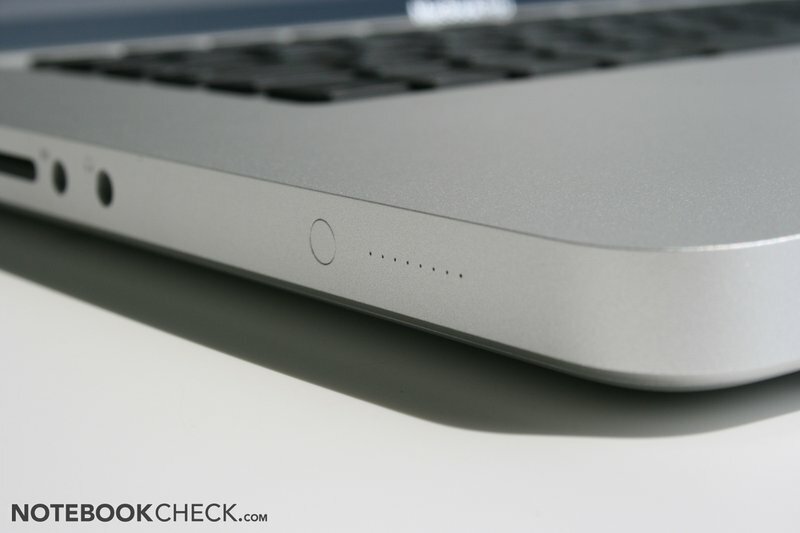 While this writer prefers separate mouse buttons (particularly for dragging and dropping), other Mac users swear by the clickable trackpad surface. Overall the glass trackpad is still very clearly the best notebook touchpad in the world, now made even better with inertial scrolling - under the Mac operating system, of course. Our review model has the standard 1440 x 900 display with a glossy glass enclosure. The DPI you get with 1440 x 900 pixels on a 15-inch screen represents a good compromise between the amount you can fit on your screen and what size it will appear. The optional 1650 x 1080 high-res display offers more virtual screen space, but results in smaller type. 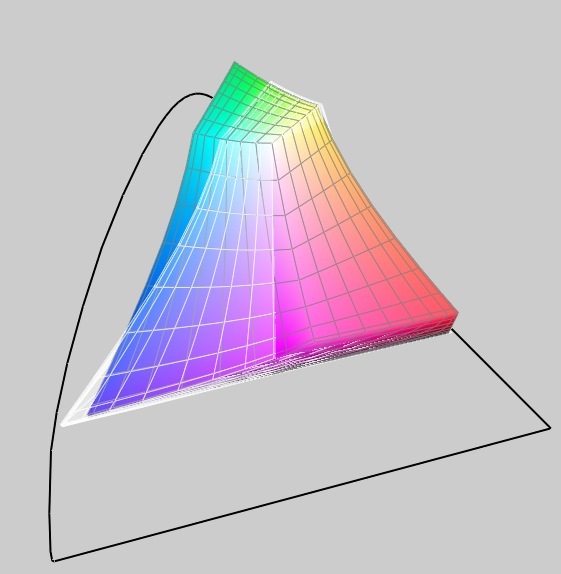 The matt surface is currently only available on the high-res version. But back to our test model. 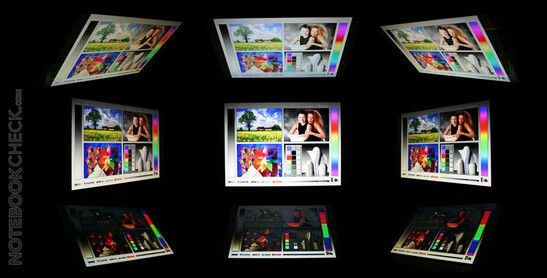 The screen is an LTN154BT08, and is very bright with a maximum reading of 321 cd/m² in the middle segment. 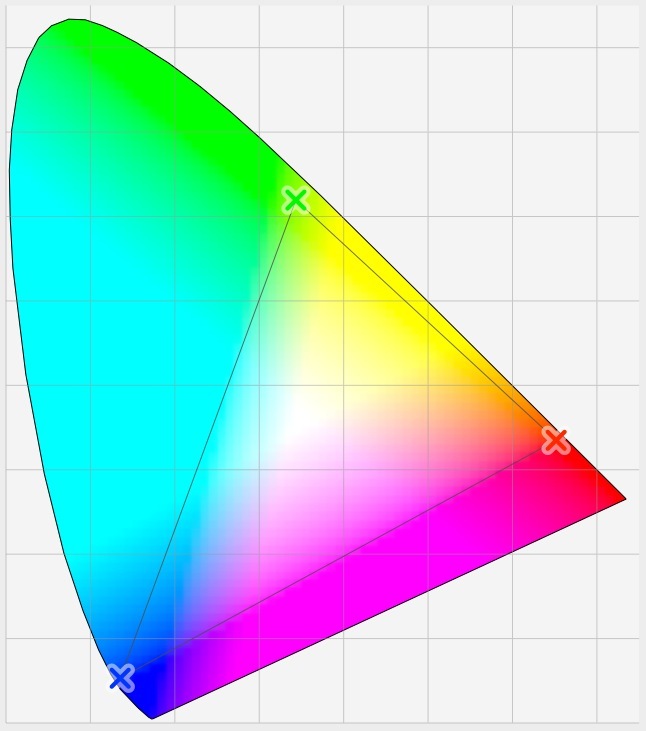 The black value is good considering the high maximum brightness, at 0.42 cd/m², which results in a very good contrast ratio of 683:1 (690:1 at around 100cd brightness). Our subjective impression of the screen's vibrant colours and deep blacks confirms this. The ambient brightness sensor will automatically reduce the screen brightness when necessary; but because of the glossy screen surface, you mostly need the full brightness even in light conditions. The distribution of brightness is more average at 76%, but this is pretty normal for very bright displays. With the naked eye we could not detect any darker areas on the screen during ordinary use. Because of the glossy, reflective surface of the glass enclosure, outdoor use is severely limited. If you want to be able to use your MacBook Pro outdoors on a regular basis we suggest you opt for the non-reflective high-res version. The range of angles from which you can still see a good picture is excellent for this TN display. From the side, your view is more likely to be obscured by reflections. From above and below, there are some problems as you would expect, but compared to other TN panels they are not as pronounced. IPS displays, which you might see on the new iPad or on good desktop monitors, are a class beyond this. 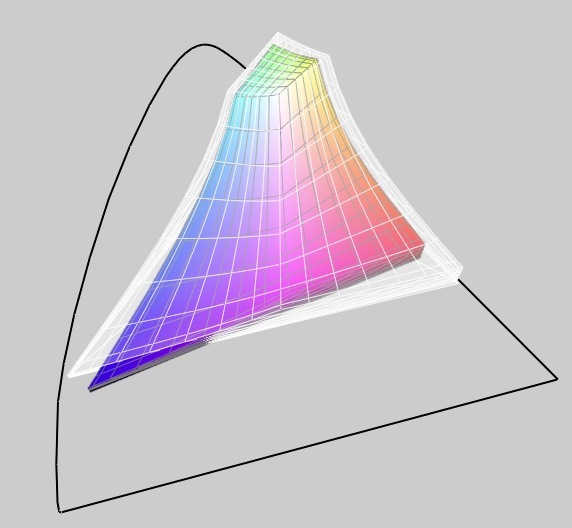 The colour gamut of the 1440 x 900 display is comparable to that of the 2009 MacBook Pro models, roughly covering the sRGB colour space. Compared to the 13-inch MacBook White, the colour gamut is substantially larger, but is still not as good as the RGB LED Display of the Dell XPS 16. In this, the fastest model, Apple has used a Intel Core i7-620M dual-core processor, paired with the 512 MB version of the Nvidia GeForce GT 330M mid-range graphics card. 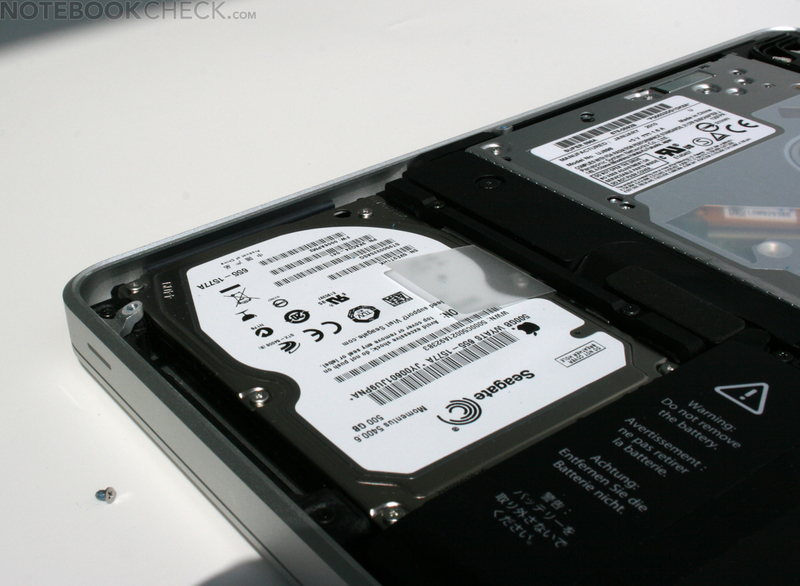 A quiet, 5,400 rpm Seagate hard drive also comes as standard, along with 500 GB of storage. 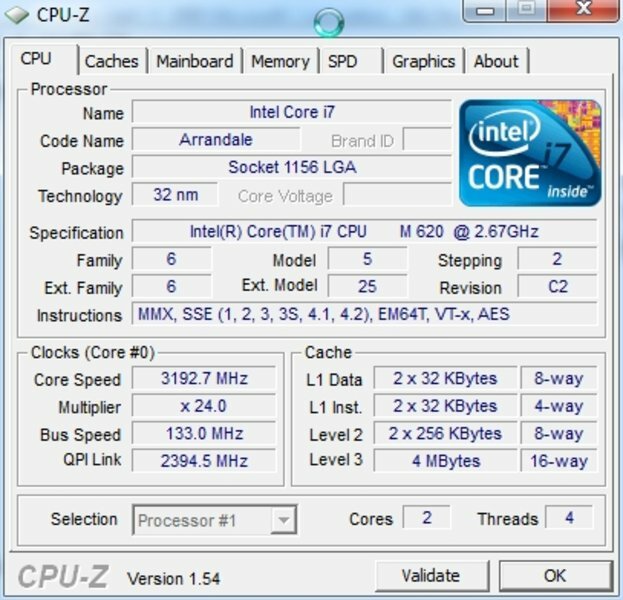 The new Core i7-620M is the top Arrandale dual-core notebook processor, and has a speed of 2.66 - 3.33 GHz thanks to the automatic overclocking function called Turbo Boost. With hyperthreading the CPU can process four threads simultaneously despite only having two cores, in order to fully utilize the pipeline. This is of substantial benefit to the 620M, particularly in processor benchmarks which use multiple threads efficiently (e.g. wPrime, Cinebench). 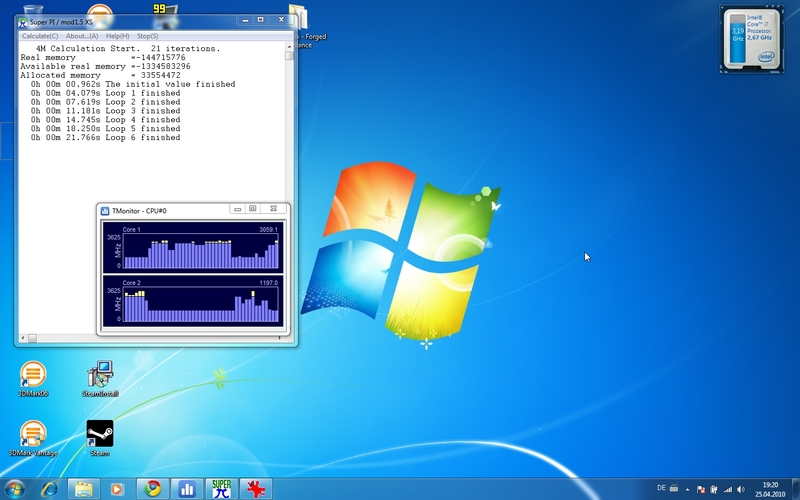 To test the processor performance, we performed a wide range of benchmarks while running Windows 7. We started with the Futuremark synthetic gaming benchmarks. The CPU part of the 3DMark06 test produced an excellent 3,148 points, placing the MBP 15 just behind the Alienware M17 with Core i7-620M. This is on a level with the Core i7-720QM quad cores, and significantly beats the fastest Core 2 Duo T9900 (in the CyberSystem QX18) by 361 points. In the CPU part of the newer 3DMark Vantage test (Performance Preset), the result was practically identical to the Lenovo Thinkpad T410. The fastest i7-620M we have measured was in the M17x and was only 2% faster than this. So in the Vantage test too, the 620M is positioned right near the top, surpassed only by the quad-core i7 notebook processors. The Core 2 Duo T9900 is a massive 30% slower in this test. 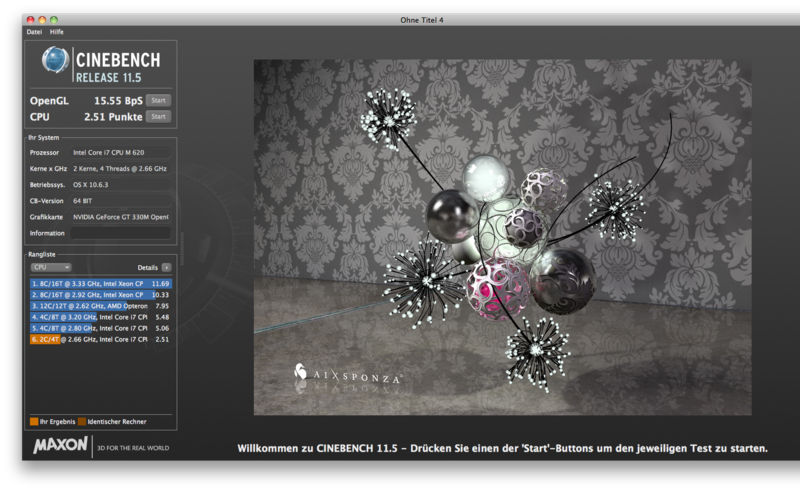 The Cinebench programs test the processor performance using different versions of Maxon's Cinema 4D application. In the 64-Bit single thread part of the Cinebench R10 benchmark (only one core and thread being used), the 620M in the MacBook Pro achieved the top position of all notebooks we have tested, even beating the Core i7-920XM quad core. The turbo boost function comes into its own here, taking the processor up to 3.33 GHz. In the multi-thread test too, the MBP delivered the fastest results for a Core i7-620M, but did still remain just behind notebooks with the Core 720QM quad core processors. In the Cinebench R11.5, the latest version of the benchmark, the 620M holds its own as the fastest of the dual-core processors, but is significantly outclassed by the quad-core i7 processors (it comes in just above the Q9000 in the Touch X9613; the 820QM is significantly faster with 3.4 to 2.5 points). In the wPrime 1024 test, the Apple Mac is the fastest notebook with a Core i7-620M, and remains just behind the 720QM by 4-5%. The old MacBook Pro with the T9600 Core 2 Duo is overtaken by some way (in fact practically lapped) with 922 seconds to 524. SuperPi 32m also demonstrates the Core i7-620M's excellent single-thread performance, producing the fifth highest result, just ahead of the 820QM in the XMG7.c. 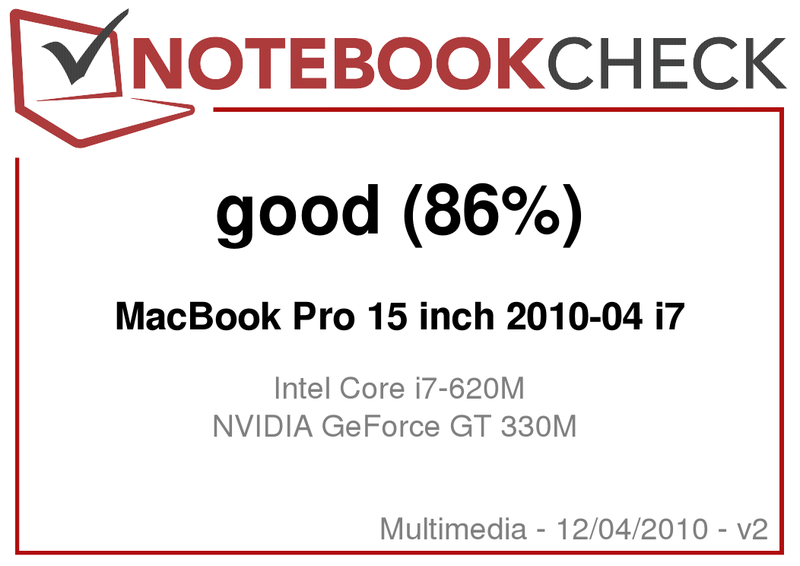 To summarize, the Core i7-620M in the 2010 MacBook Pro 15 achieves outstanding results. It always ranks at or near the top of the 620M processors that we've tested, and in benchmarks where only one core or thread is used, it performs particularly well. It is a marked improvement on the old Core 2 Duo processors. Multi-threaded applications are also handled quickly thanks to hyperthreading, though the native quad-core i7 CPUs are still some way ahead in this area. 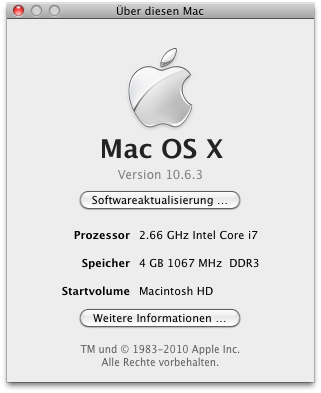 We also carried out the same CPU benchmarks while running the Mac operating system. 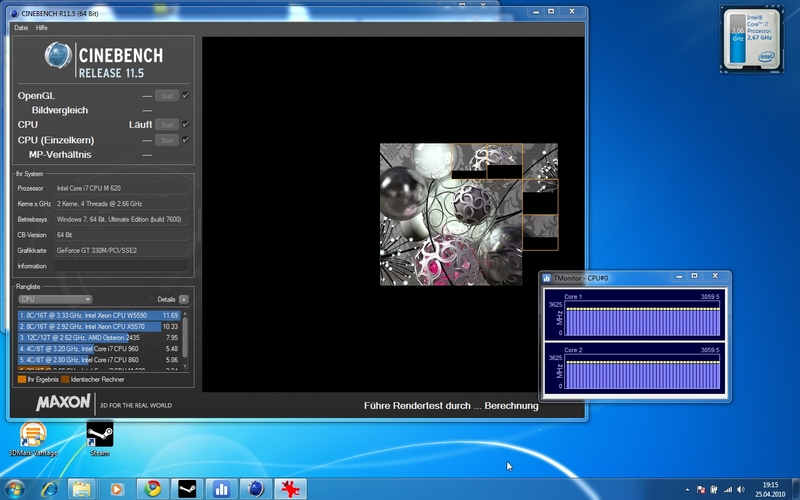 In the 64-Bit Cinebench R10 the notebook achieved a slightly worse score than with Windows 7. 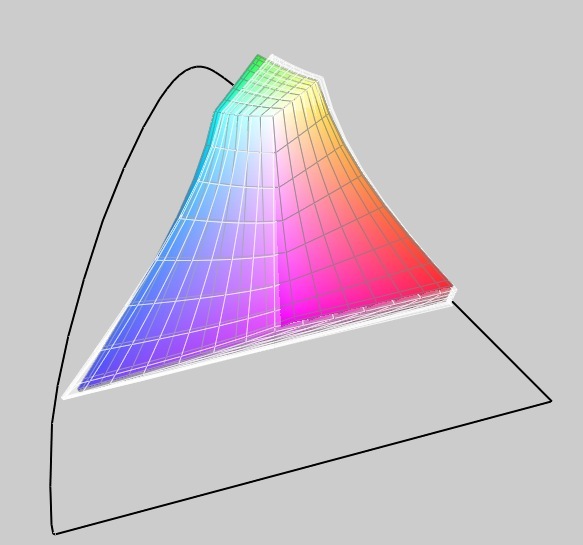 The OpenGL result, however, was better, and there was also a significant improvement in the 32-Bit version of the test. The new Cinebench R11.5 benchmark produced similar results under the Mac operating system, and in Geekbench the processor was faster by quite some way. Apparently Mac OS X does a good job of exploiting the power of the new processors. However, the new AES instructions for faster encryption and decryption are not yet supported. The Seagate ST9500325ASG in this model is one of the fastest 5,400 rpm hard drives, and it also offers plenty of storage with its 500 GB capacity. Those wanting more power can configure their machine to come with a 7,200 rpm HDD (though this would also produce more noise and possibly some vibrations), or even a rather more expensive SSD. 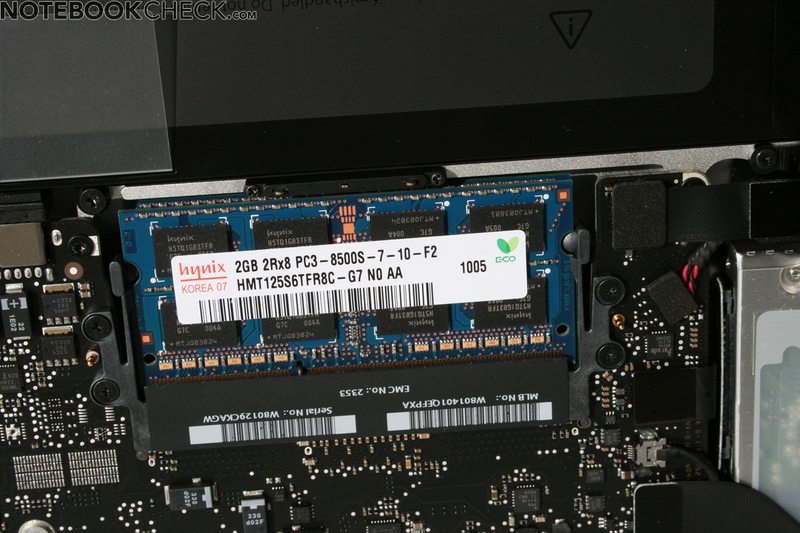 It may be better value to buy a third party SSD and perform the upgrade yourself, rather than paying Apple the hefty additional cost for an SSD of unknown type. The application performance is very good, as expected, under Windows, thanks to the powerful processor and mid-range graphics card. 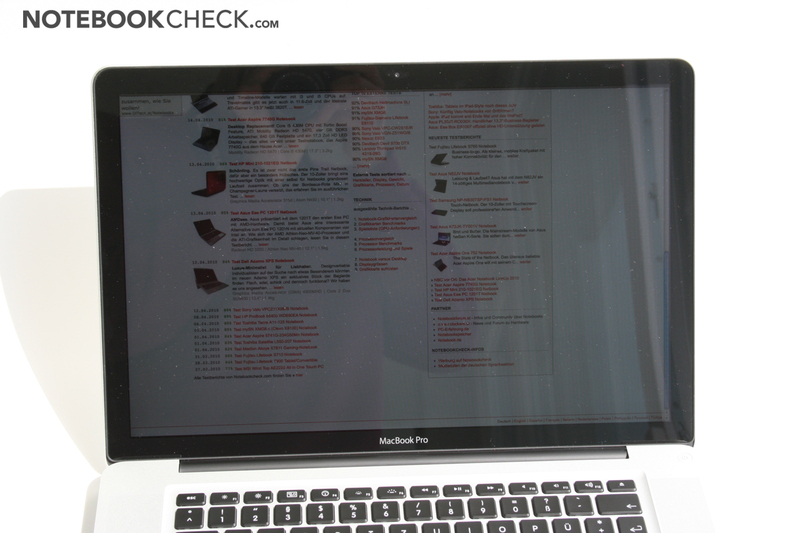 In the PCMark Vantage test the notebook achieved an excellent score, on a level with the Lifebook S760 or the Asus G60J. 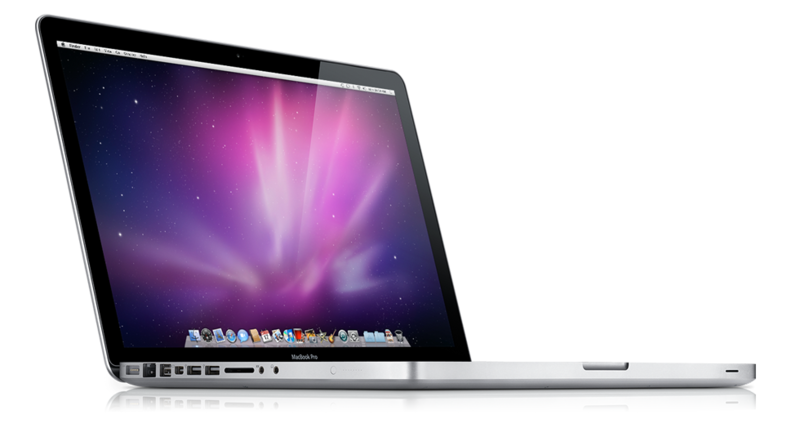 The old MacBook Pro with C2D T9600 (2.8 GHz) is a full 37% slower than this latest model in the PCMark Vantage benchmark. 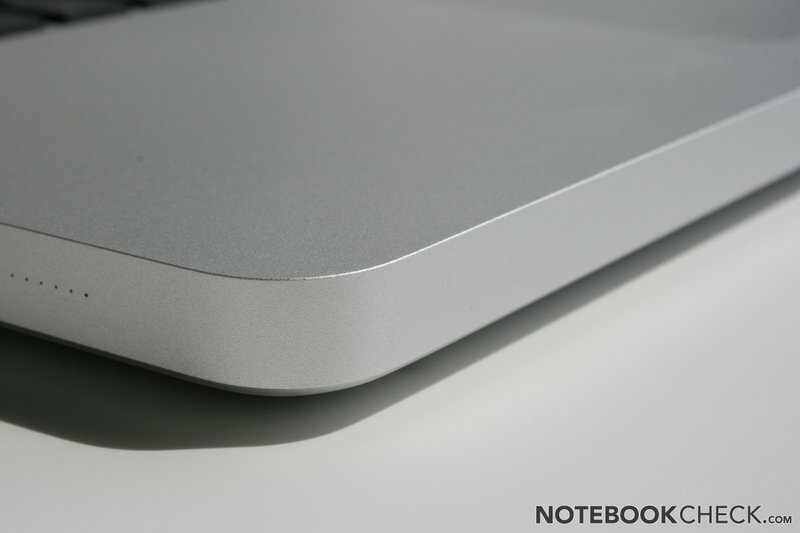 The MacBook Pro is only really beaten by notebooks with SSDs. If you are looking to give the application performance a significant boost, upgrading to an SSD would be the best route. 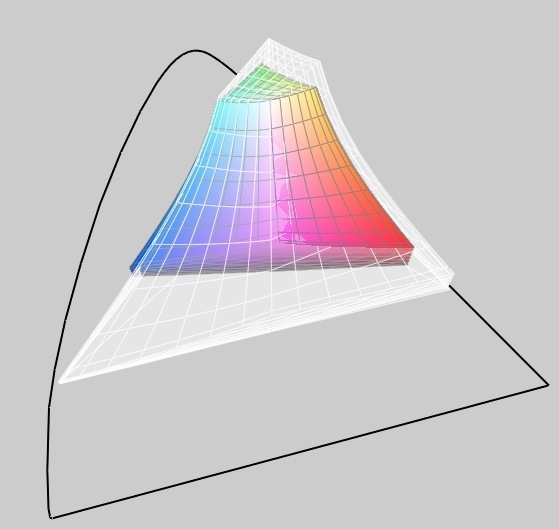 Using XBench 1.3 we evaluated the system performance under Mac OS X. While this free benchmarking tool is not especially reliable (producing high and low value outliers in some runs), it does point towards a general trend. Except when it comes to hard drive performance, the new MacBook Pro 15 is clearly ahead of the older MBP versions and the white MacBook. The increased speed can be put down to the i7 with its integrated memory controller and the GT 330M. 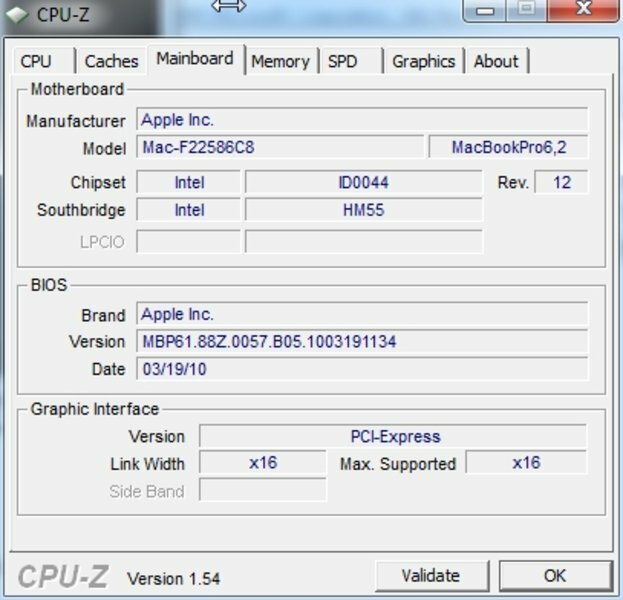 XBench 1.3 comparison showing the older MacBooks (N.B. - carried out with older 10.6 versions!). 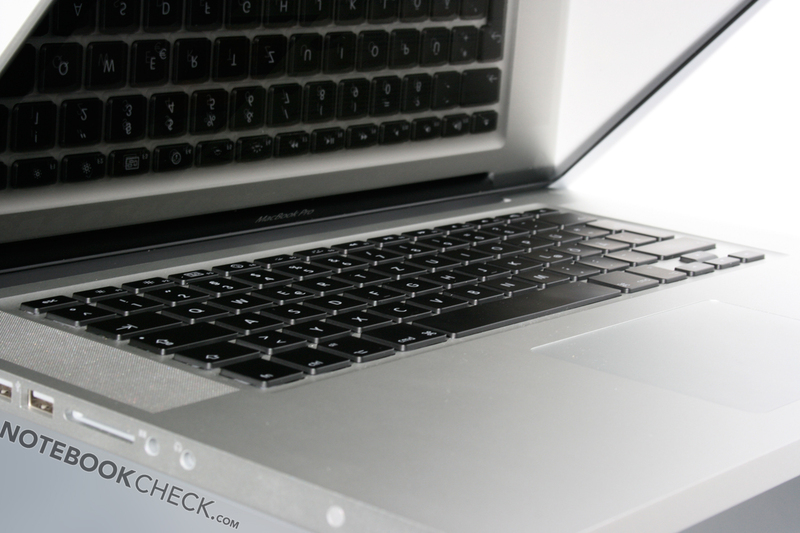 Aside from the HDD test, the new MBP 15 is the clear victor. 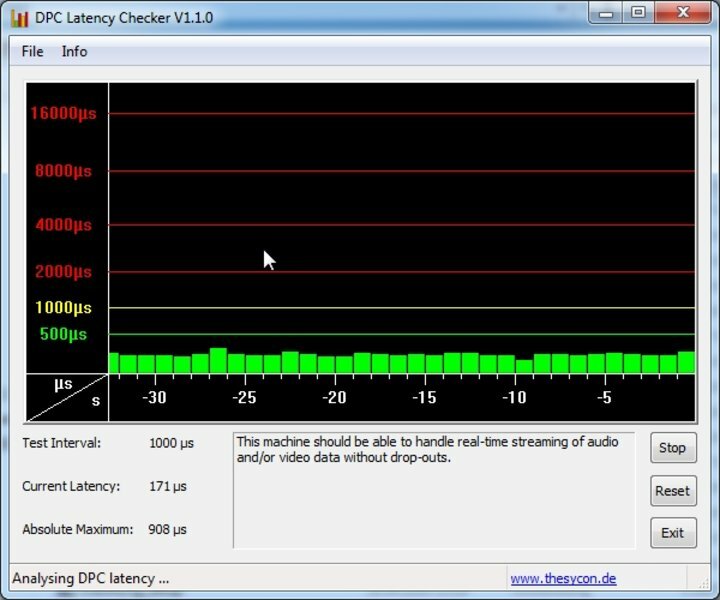 There's good news for Windows users concerning the DPC latencies. In our test the latencies stayed within the green zone, with a maximum reading of 900 microseconds and an average of just under 200 microseconds. Earlier versions of the Boot Camp drivers were unfortunately limited due to a badly implemented keyboard driver, but apparently Apple now has this under control. The 500 MHz Nvidia GeForce GT 330M in this MacBook Pro is at a clear disadvantage compared to 330M cards which have the 'standard' 575 MHz core speed. In the synthetic graphics benchmarks it came in at the same level as other underclocked GPUs. For example, its GPU score in the 3DMark Vantage test is slightly higher than the 300M GPUs in the Sony Z11 and CW2S1E, whereas the Samsung R580 with 575 MHz GT330M achieves a 14% better score. However, the difference between this graphics card and the 9600M GT in some of the older models (the MBP 17 for example) is a very noticeable 27%. The MacBook Pro's overall Vantage score is a little higher, thanks to the powerful i7 processor, and ranks between the GT 330M at its normal speed and its underclocked speed. 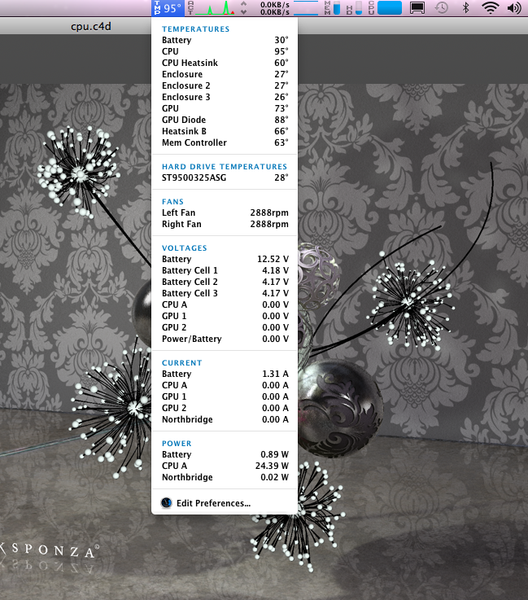 In the 3DMark 06 test the effect of the CPU on the overall score is magnified; and so the MacBook Pro leaves even the Alienware M11x with GeForce GT 335M in its wake. 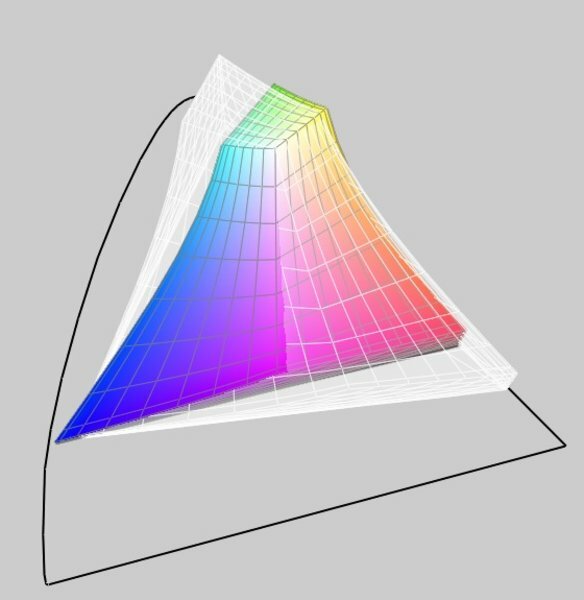 We determined the notebook's OpenGL performance using the Cinebench benchmarks. 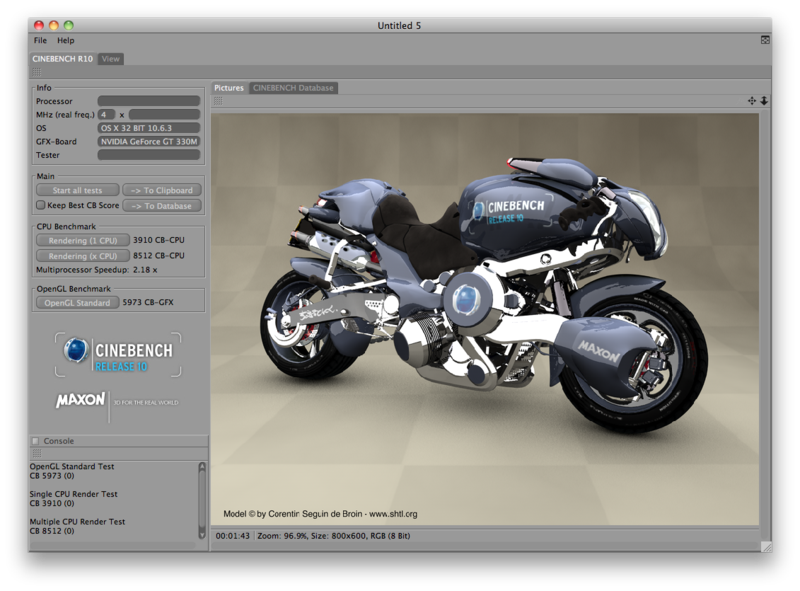 In Cinebench R11, it achieved the same score whether running Windows or Mac OS X, and ranked about the same as a GeForce GT 240M (for example in the Medion Touch X9613). In the Cinebench R10 test, the difference between the Windows and Mac OS X results was marked (at 5,973 points, the Mac score was almost double the Windows score). The result is very good, even for Windows, on a par with the HD 5870 in the G73JH. 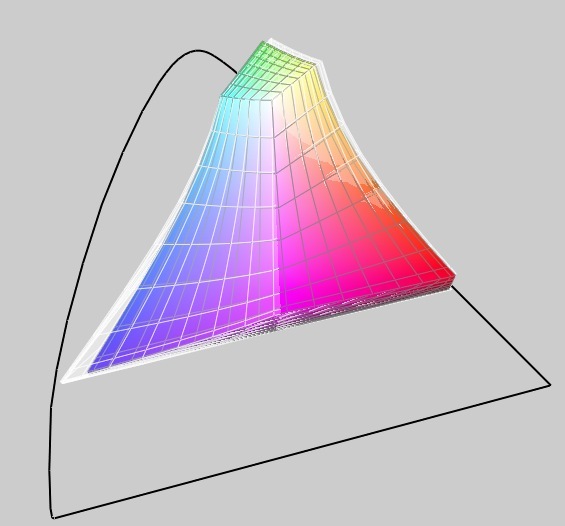 However, the OpenGL performance is strongly dependent on the drivers (with drivers derived from the Nvidia Quadro range giving the best results) and so in a comparison it is not absolutely representative. The results of our gaming tests, carried out in Windows 7, were similar to the synthetic benchmark tests and show that the MacBook Pro is suitable for modern games on their lowest or medium detail settings. 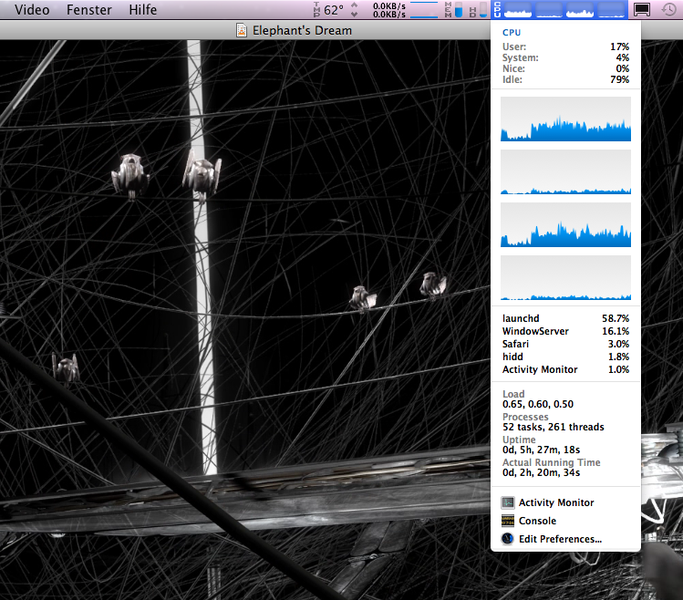 The improvement from the old MacBook Pro with 9600M GT can be seen very easily with the graphics-intensive Crysis. The underclocked GT 330M puts in a good performance, with 20.1 fps compared to 16.28 fps. However, the game is only playable on its low to medium detail settings and at a resolution of 1,024 x 768. Compared to other notebooks we have tested with the GT330M, the MBP comes bottom (the fastest was the F11Z1E mit 720QM which achieved 26.8 fps). On Dirt 2, the MacBook Pro achieved reasonable refresh rates with the medium detail setting and XGA resolution. To compare, the notebook ranks just above the Sony Vaio EB1S1E with Core i5-430M and an underclocked HD 5650 , and below the MSI GX623 with HD 4670. Demanding games like Battlefied: Bad Company 2 would only run fluidly when on their lowest detail setting. As the CPU appears to have a strong influence on results here, the MacBook ranks above notebooks with a faster GT 330M and weaker processors, but below the Lenovo W510 with FX 880M (based on the same graphics chip) and a Core i7 820GM. In summary, you can't exactly call the MacBook Pro a gaming notebook, thanks to its relatively slow 500 MHz GeForce GT 330M. More demanding games are mostly only playable on their lowest detail settings. Apple's Quicktime can call on the graphics card for help in decoding videos. 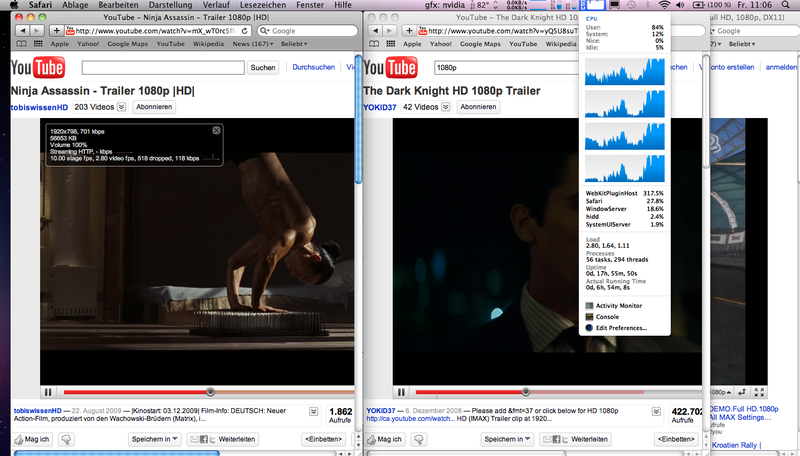 In our test we compared the performance of Quicktime to the VLC media player (which does not yet support GPU acceleration). 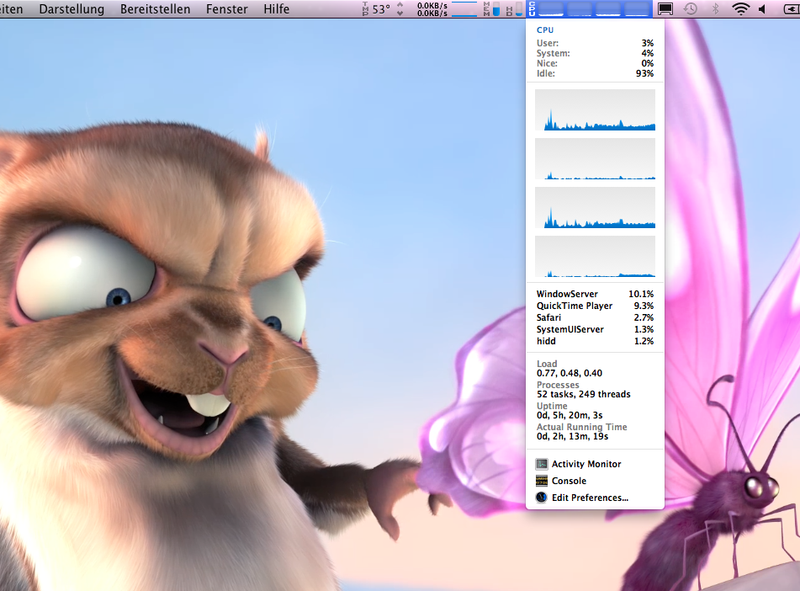 Big Buck Bunny (H.264, 1080p) required a CPU usage of about 6-9% with Quicktime, but with VLC it was 13-16%. 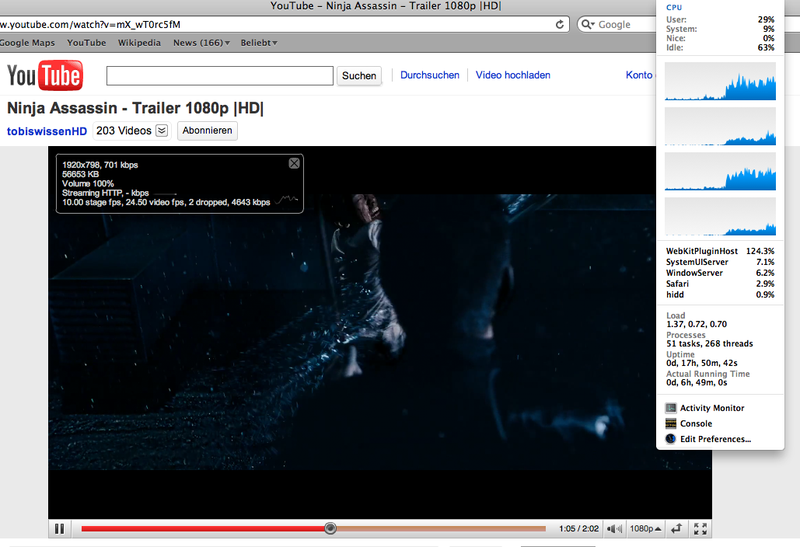 An I am Legend trailer (MP4, 1080p) produced a similar result in Quicktime, but needed considerably more (13-24%) with VLC. VC1 (WMV) is not currently supported by Quicktime, and so we had to use only the VLC (tested with Elephant's Dream). The Core i7 dealt with this easily, with a CPU usage of 17-23% CPU. So desktop HD videos are no problem, though the usage of the graphics card in Mac OS X is not yet as advanced as it is in Windows 7 (via DXVA). Flash HD videos are a bigger performance challenge for a modern notebook. 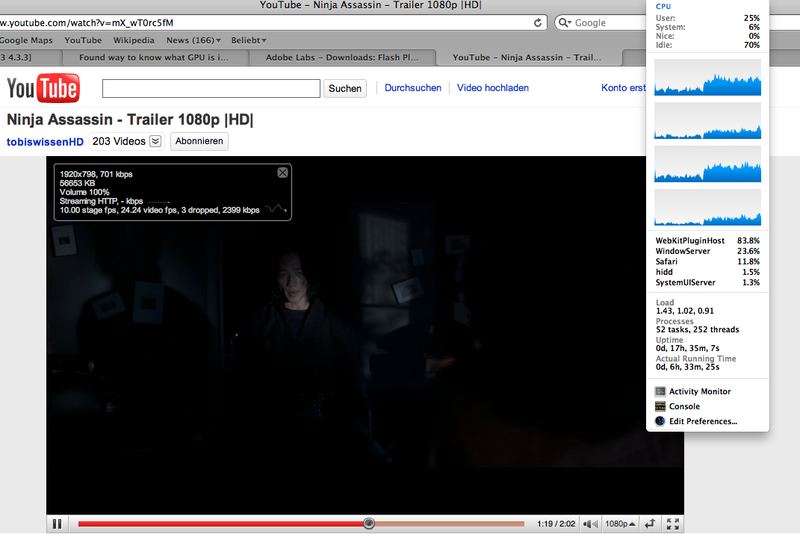 With the currently stable Flash 10.0 plugin we could view the Ninja Assassin trailer (1920 x 798) with 30-40% CPU usage, without dropping any frames. Using Flash 10.1 RC2 and the low-level integrated Intel graphics card, the CPU usage was almost the same at 27-40%, and with the dedicated GT 330M graphics card (which didn't start automatically) this dropped marginally to 27-34%. With the GT 330M running two Flash videos at the same time, they still played more or less smoothly, with the odd dropped frame. However, two HD videos was too much for the Intel HD graphics card. Possibly Flash 10.1 RC2 does not yet support the Intel HD graphics card on the Mac OS X. However, the burden on the CPU did not increase during in this second test. Either automatic graphics switching or just the GT 330M. In Mac OS X, Apple offers another special feature - the computer will automatically switch between the Intel HD graphics card integrated into the processor and the dedicated Nvidia GeForce GT 330M. In terms of technology, Apple are not relying on the Optimus system which is currently being used to great effect in Windows, but instead uses a multiplexer which can switch which card the integrated display is connected to (the GT 330M is always used for an external screen). Since Apple also controls the operating system, it was able to eradicate the problems which you get with multiplex-based switching in Windows; with Mac OS X, there is no flicker and no waiting time when switching. The operating system automatically switches if a system request is made to OpenGL, OpenCL, Quartz Composer, Core Animation and Core Graphics. Thus the GT330M is activated by Quicktime, iPhoto, Photoshop and iMovie for example. Since the integrierte GMA HD can be put into energy-saving mode when not in use (which is not the case with Optimus), it is actually possible to save energy when doing something graphics intensive. In practice the user will not notice any of the automatic switching that is going on. As soon as the GT 330M is activated, the notebook needs about 4 Watts more power without heavy CPU usage. 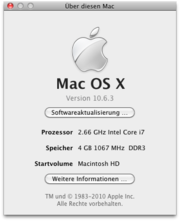 Forcing the machine to use the Intel graphics card is unfortunately not possible with this version of the Mac OS (10.6.3), but forcing it to use the GT 330M is (by turning off switching). 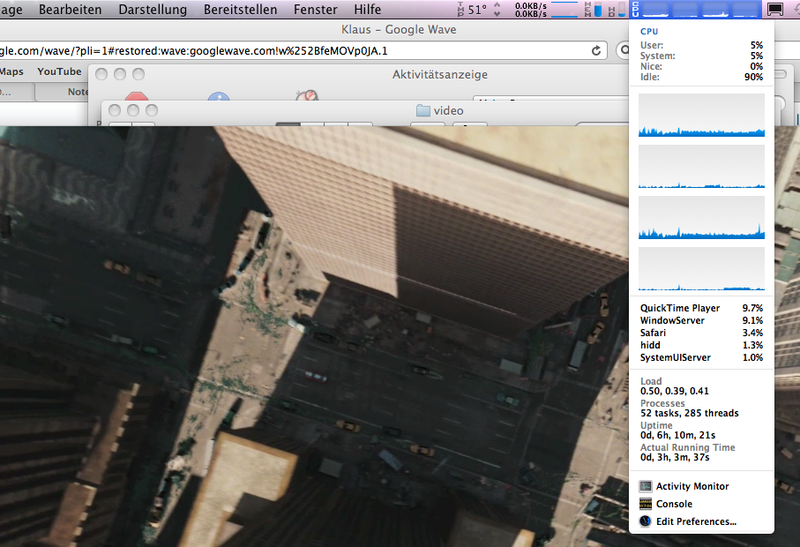 Compared to Optimus, the GT 330M under Mac OS X runs considerably more than is necessary (for example with iPhoto). 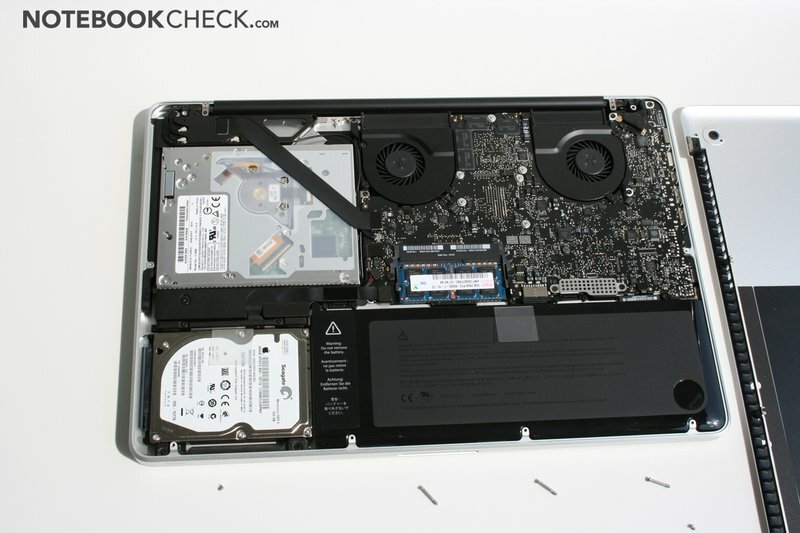 The two fans in this new MacBook Pro 15 remain quietly in the background, as you would expect of an Apple notebook. They mostly run at 2000 rpm, particularly when running Mac OS X. 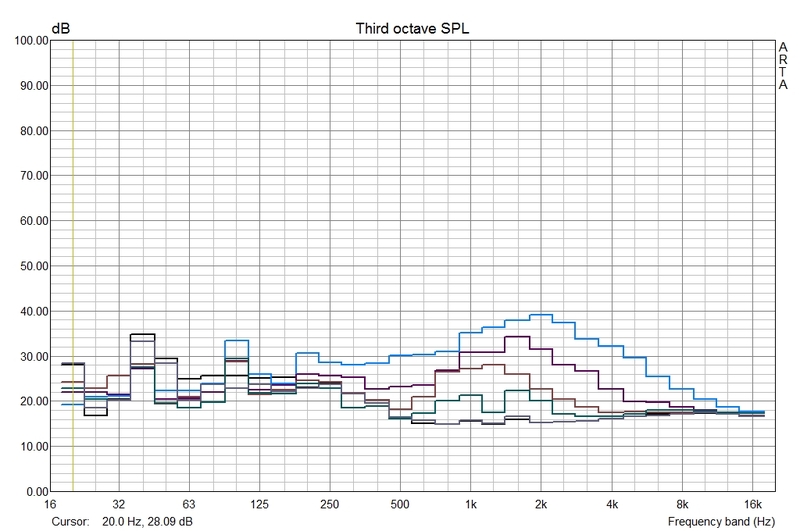 This produces only a very quiet murmur, 30.5 dB(A) from 15cm away. When the processor is under stress, the cooling system gets gradually faster but is a bit late to get started (though it happens a little more quickly in Windows 7). With the Mac OS we did not register more than about 3,500 rpm (at a volume of around 33 dB). 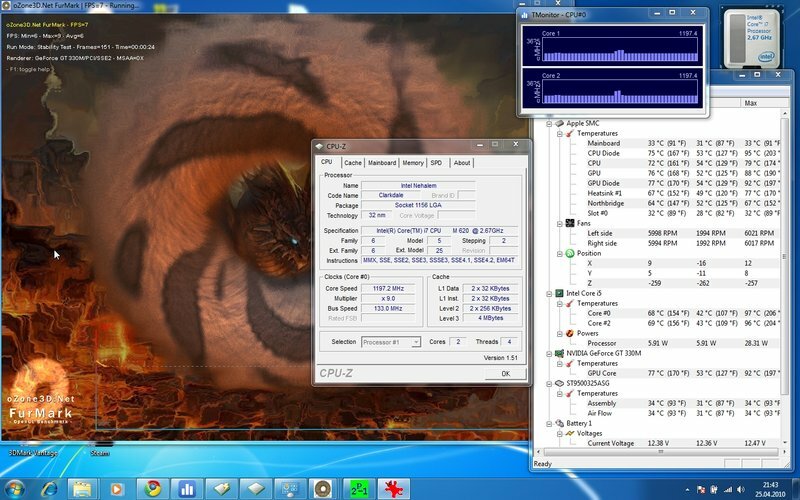 In the stress test under Windows 7 (consisting of seven hours of Furmark and Prime95), the fans do rotate at their maximum of 6,000 rpm, reaching a loud 47 dB. During normal games, however, it stays at a bearable 38 dB. The 5,400 rpm hard drive whirs along quietly to itself without noticeable vibrations, so long as it is not accessing any data. But when it does, it rattles audibly (if the fans are quiet), and when it parks the heads because of jolting (detected automatically by a motion sensor) it is clearly audible. The freeware tool smcFanControl still works with these new MacBooks and so you can manually adjust the fan speed (in order to deliberately keep the case cooler for example). The volume ranged from 30.5 to 47dB, with the two fans accelerating smoothly and producing a sound that we would describe as a pleasant murmur. The aluminium case can heat up a little too much in certain situations, because of the fans that run so quietly and slowly. Particularly under very heavy use while running Mac OS X, the fans remain very quiet for a long time and the aluminium case can get as hot as 48°C on the underside of the machine. On the upper side of the base unit, the important palm rest area remains pleasantly cool (maximum 32°C) and only the area above the keyboard heats up substantially (45°C). However, it should be noted that we only achieved these high temperatures by placing the laptop on a soft surface. 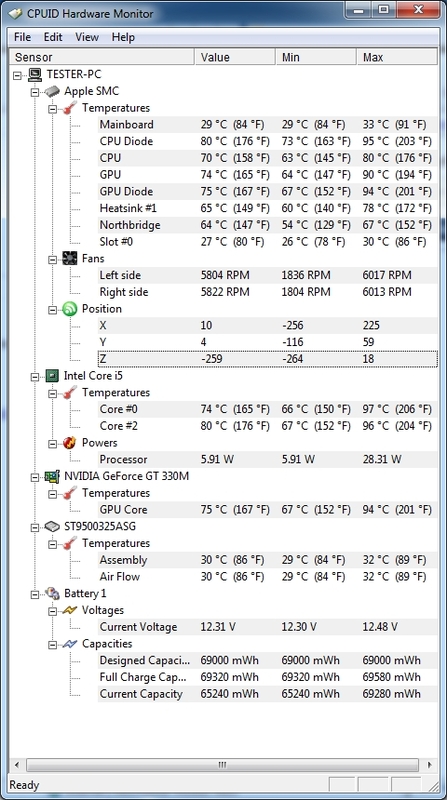 On a glass tabletop and running Windows, the temperatures stayed within reasonable bounds (see diagram) even under extreme stress (Furmark and Prime95). During normal use, the temperatures remained pleasantly cool with a maximum of 33°C and 34°C for Windows 7 and Mac OS X respectively, giving us no grounds for complaint with our test machine. The notebook was never prohibitively warm during our tests. It could perhaps get uncomfortable to use on a hot summer's day if it were on your lap and you were asking a lot of it. However some colleagues (see our external reviews of the MBP 15) did complain about heat build-up. 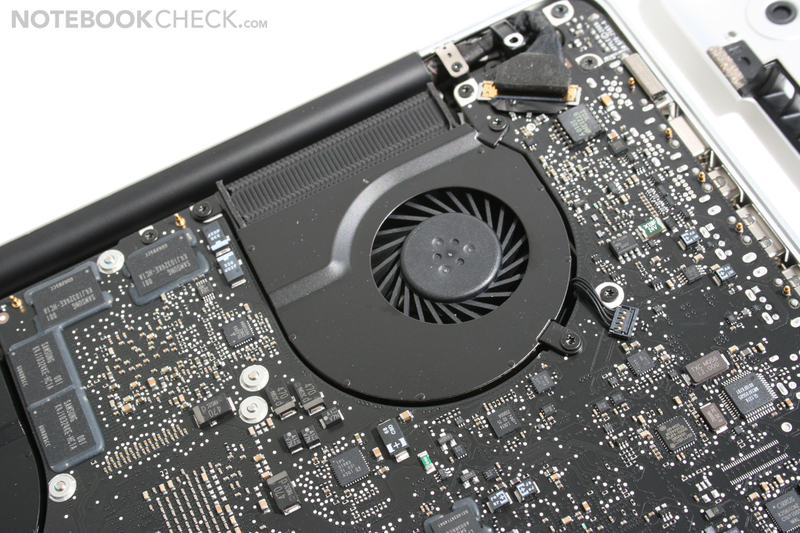 Problems could be caused by variations in manufacture; the old MacBook Pros were sometimes hotter when the thermal paste had been badly applied. To test the cooling system to its limits, we ran Furmark and Prime95 simultaneously in Windows 7, to fully occupy the CPU and GPU. After more than six hours the CPUID Hardware Monitor showed no worrying internal temperatures (CPU 80°C, GPU 75°C). At times in between, however, the CPU did reach as high as 97°C and the GPU 94°C (probably before the cooling system had fully speeded up). A 3DMark05 test carried out immediately afterwards gave the expected point score and did not show any signs of throttling. However if we watched CPU-Z or TMonitor during the course of the stress test, they showed that the CPU was underclocked. CPU-Z kept fluctuating down to 1200 MHz and TMonitor showed a constant 1200 MHz (although it also showed incorrect frequencies in idle mode). Interestingly this phenomenon only occurred when Furmark and Prime95 were running simultaneously. When each stress test tool was run on its own, we observed the expected processor frequency (including with Turbo Boost) and there were no signs of throttling during Cinebench either. On the first level of Bad Company 2 the CPU throttled down to 1200 MHz to start with, but later remained at a constant 3.06 GHz. It did not appear to cause any stuttering or other problems whilst playing the game. Overheating can be ruled out, since the phenomenon turned up immediately after a cold start (and the components were cool, according to Hardware Monitor), and because after stopping the two applications the expected processor speed was immediately restored. Possibly the underclocking takes place in order not to overload the mains adaptor (which is already larger than in previous models). 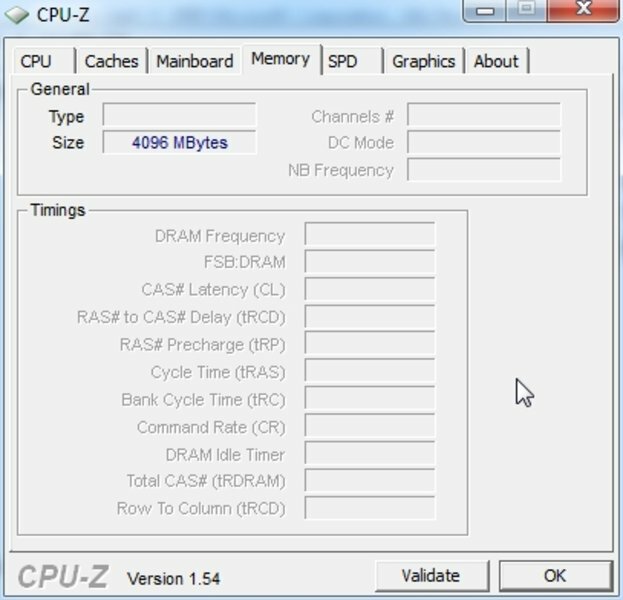 CPU-Z shows CPU abruptly throttling to 1200 MHz (TMonitor constant). When both cores are overloaded the CPU overclocks by one "bin". During SuperPi (single core stress) the turbo mode didn't kick in continually but with up to 3 bins. 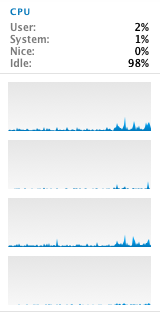 The hottest phase under Mac OS X - full CPU usage, just before the fans speed up. Apple has also made some changes to the sound system. To the right of the keyboard there is now a small woofer as well as the right-hand speaker. This makes the whole right side of the base unit vibrate a little and provides improved audio quality. You can't expect wonders from the new system because of its small size, but it is certainly sufficient for internet radio or some background music from iTunes. 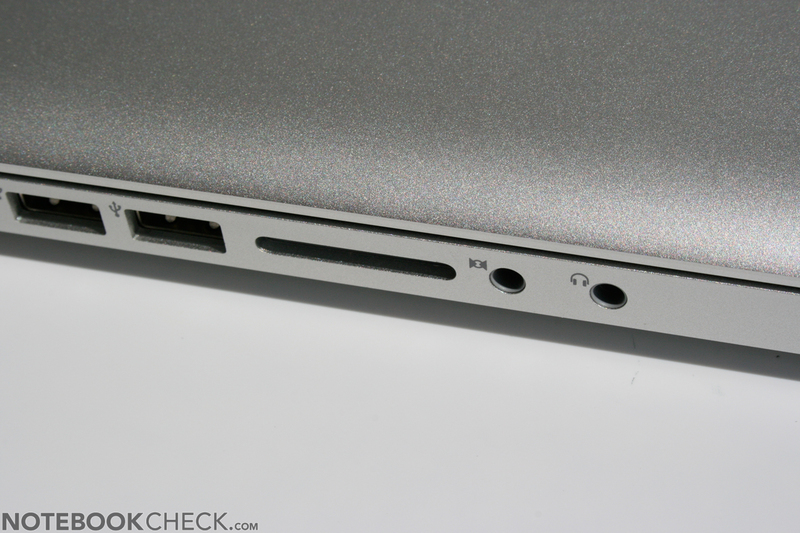 More demanding listeners should attach an external sound system to the MacBook Pro using the optical/analogue audio out port, or the audio output via an HDMI adaptor. The analogue output port delivered an interference-free signal during testing. The analogue input port is still not suitable for microphones. 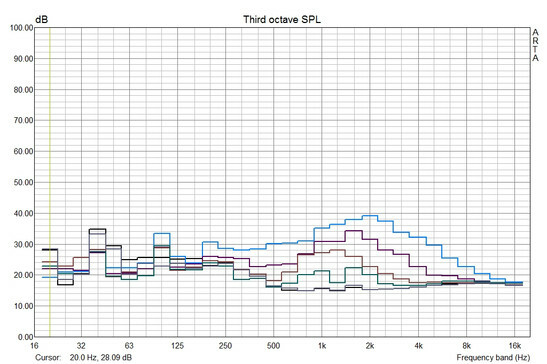 Because of this, normal headsets with analogue inputs will only work as headphones. However, Apple's integrated omnidirectional microphone performed very well when we tested it, and is eminently suitable for audio conversations, for example with Skype. The sealed-in battery cannot be changed by the user. 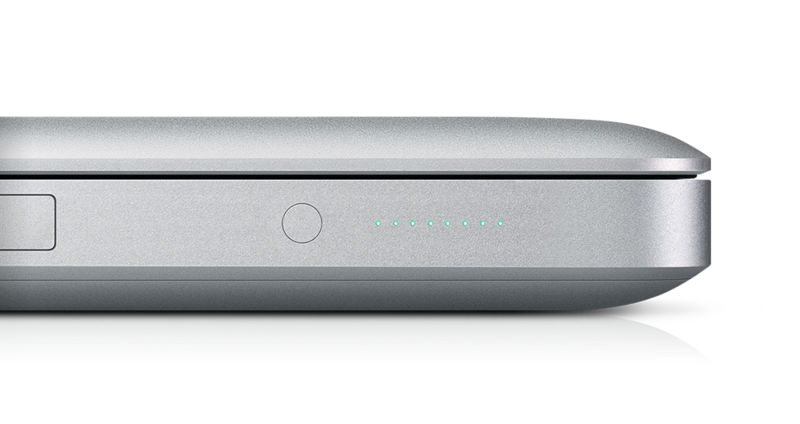 Another hardware change in the new MacBook Pro 15 is the slightly more powerful lithium polymer battery, which now has a 77.5 Wh capacity. Compared to the previous 2.8 GHz Core 2 Duo model, the battery life is very similar. The new machine's markedly poorer battery life during the WLAN test is a result of our more demanding use (watching YouTube videos and more demanding websites). With very light use (the theoretical maximum battery life) the new i7 with Intel GMA HD is somewhat better than the previous model. This can also be observed in the DVD battery life test. The battery life you can realistically expect is of course dependent on what the laptop is used for and whether much graphics is involved. 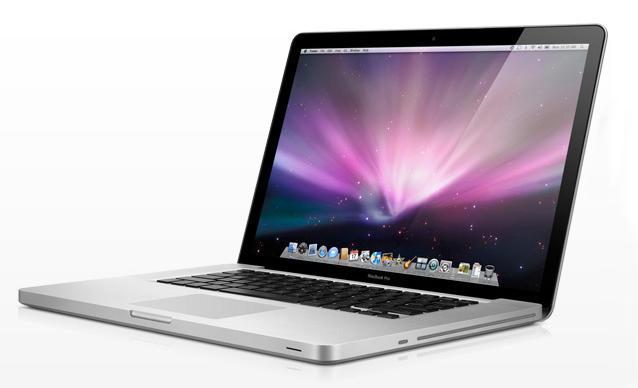 With the Mac operating system, battery run times of 4-5 hours are realistic. With Windows 7, the maximum possible battery time was only 4 hours and 45 minutes (Battery Eater Readers test). Because the GT 330M is constantly running and the optimisation is poor, you can realistically expect only three to four hours of battery life when running Windows. The battery, which cannot be easily changed, was charged after three hours and 25 minutes (while also being used). Though it is easily accessible from underneath, the writing on it states that it can only be changed by a service technician. Here we measured another clear difference between Mac OS X and Windows 7. The Mac operating system was much more frugal than Windows 7, particularly in its minimum energy usage (screen off) of 6.6 Watts versus Windows 7 at 17.3 Watts. During light use the MBP 15 is in the same league as the Atom notebooks or CULV subnotebooks - as long as you use Mac OS X. 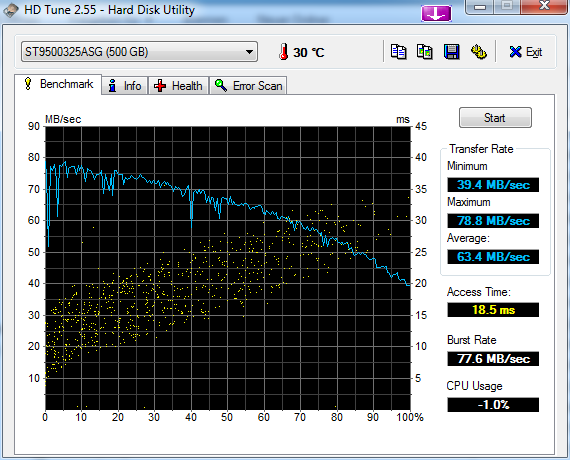 Under Windows, the power drain in idle is somewhat higher than the Asus N82JV, which has a similar hardware set up. 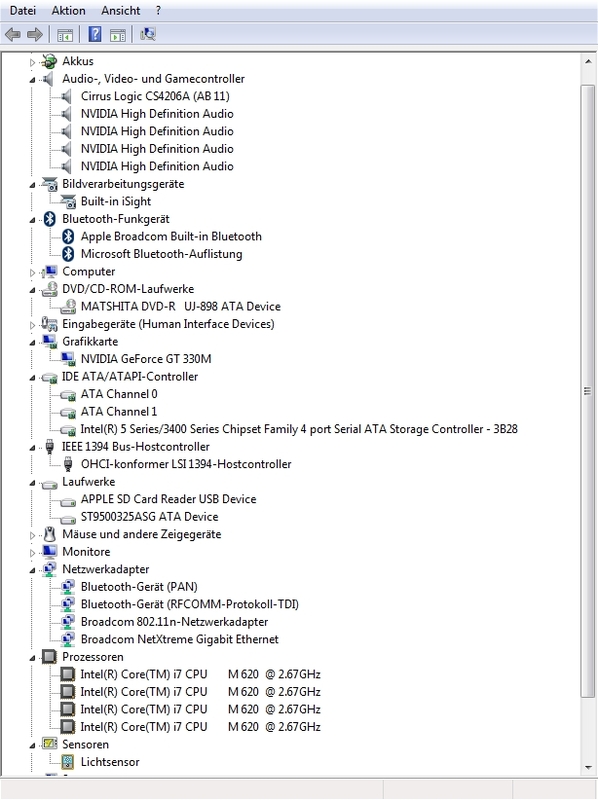 The difference stems from the fact that the GT 330M graphics card runs constantly under Windows, while with Mac OS X it is sometimes only the Intel graphics. With heavy use the energy consumption readings become more comparable. 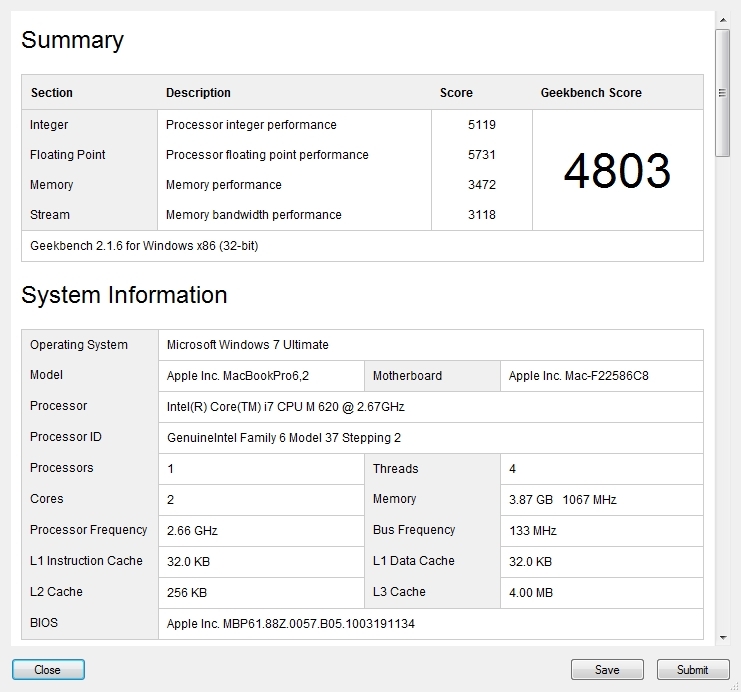 The Mac OS X maximum of 68.1 Watts (Cinebench R11 OpenGL and Cinebench R10 CPU simultaneously) is only a little less than the 73.6 Watts of Windows 7 with Prime95 and Furmark. However, Battlefield: Bad Company 2 uses even more energy than that in Windows, driving the energy consumption up to 75.5 Watts. This is similar to other notebooks with 620M and mid-range graphics cards. 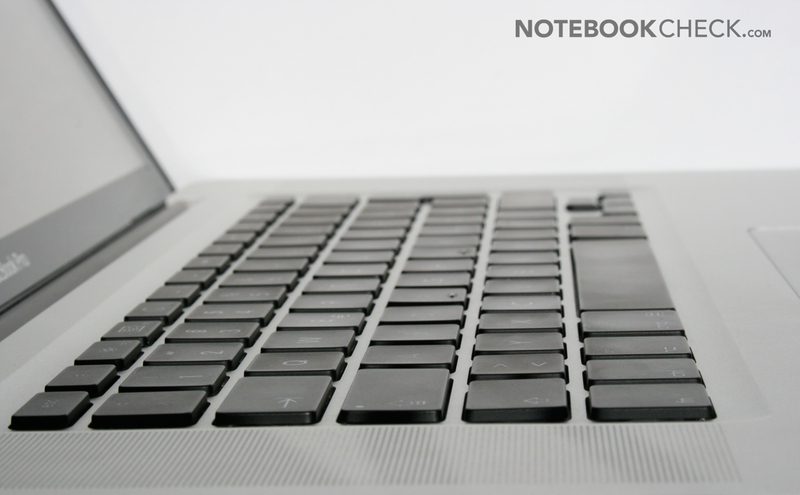 It is with energy consumption in particular that you notice the perfect match between the Mac operating system and the notebook's hardware. Compared to the old Unibody 15-inch MacBook Pro the energy consumption during light use has improved considerably. 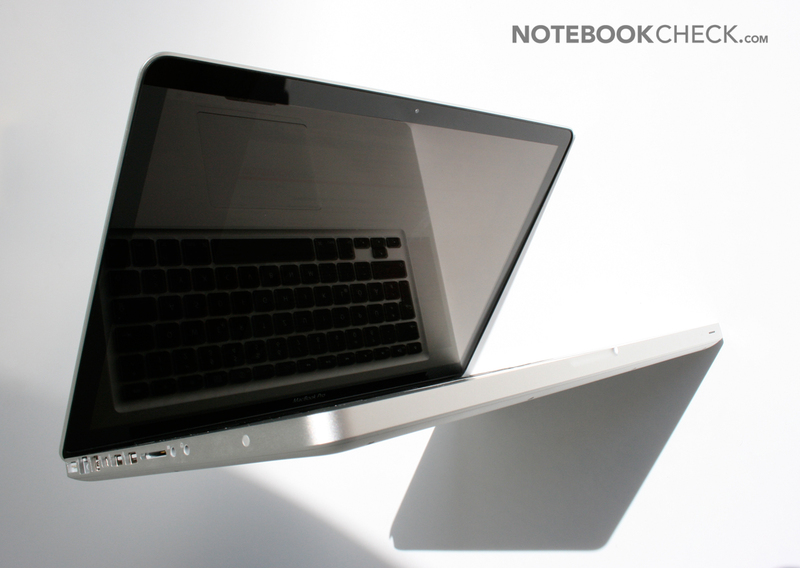 Under heavy use, the two notebooks are comparable, with the new version just having the edge in terms of efficiency. The 15-inch MacBook Pro 'Early/Mid 2010 version' is quite difficult to sum up. Apple fans were hoping for more than 'just' the new Intel Core i5/i7 processors and a more up-to-date graphics card, stuck in the old case. It seems lacking in innovation. But to be honest, you have to ask yourself - does it actually need any improvement? 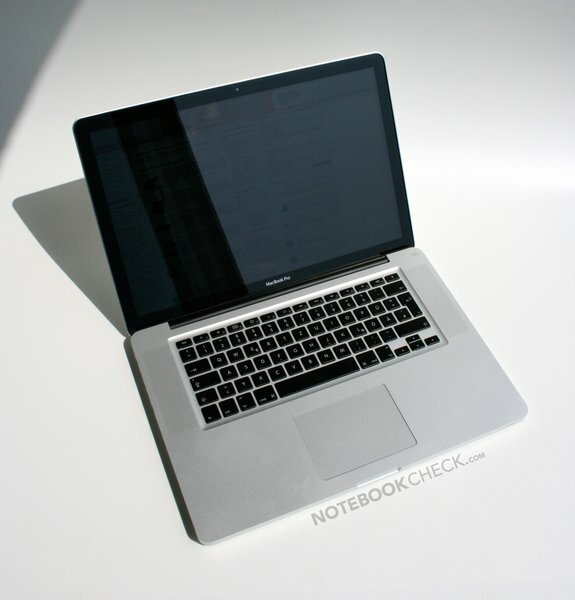 There are still (sadly) no Windows notebooks that can live up to the MacBook Pro. Overhauling the internal hardware has been the focus of this update. Improvements have been made to the CPU, GPU, graphics switching, chipset, loudspeakers and battery. 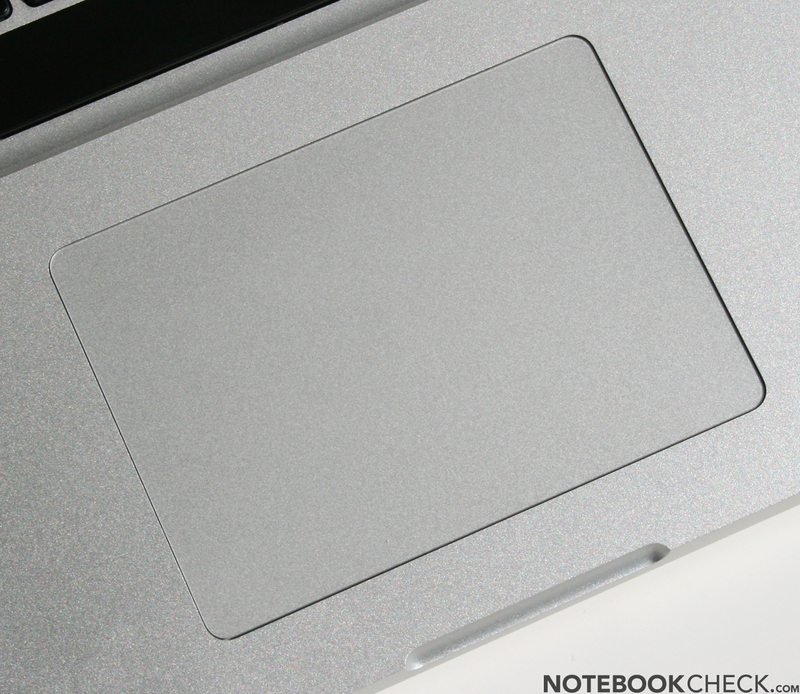 The touchpad has got even better thanks to the fantastic inertial scrolling. We were delighted to see that a high-res matt display was among the options, as well as a giant 512 GB SSD (although we would probably recommend upgrading to an SSD yourself rather than choosing this option). All the good stuff about the old MacBook Pro remains - the excellent case, its small size and light weight, its great input devices and its quiet system noise. The performance has certainly improved, though Windows notebooks can match it (for a much lower price). 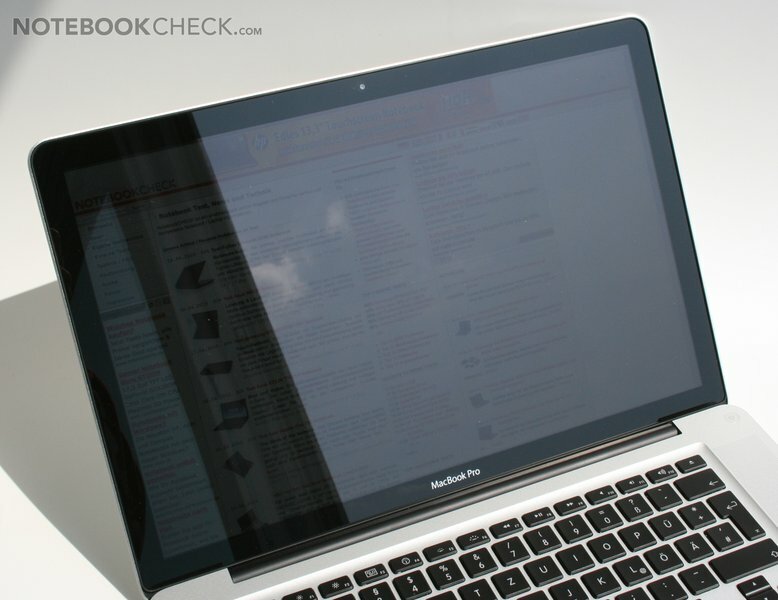 But compared to the old models, this MacBook Pro offers much better performance. Case temperature is always a hotly disputed topic with MacBooks. Possibly it is because of our review model from Apple, but our tests did not show any worrying temperature increases. Only when running Mac OS X and with heavy use did the underside of the laptop get hot (and only while the fans were still getting going). Truly negative aspects are the reflective display (making outside use more difficult), the sharp front edge (which can cut into your forearms when you use it on your lap) and the battery which cannot be changed by the user. The throttling of the CPU when under extreme stress also has to be mentioned. But of course the biggest issue is the machine's expensive price tag, coming with only a 12-month warranty, which is expensive to extend to three years (including phone service). Windows machines with similar hardware are substantially cheaper. But because there is no direct competition to the MacBook Pro in terms of design and quality of workmanship, the prices will probably remain very high for some time to come. The front edge houses the status LEDs and the infrared sensor for the Mac Remote (optional). The back edge is dominated by the wide battery. Memory modules can be replaced by the user, and are to be found under the base panel. 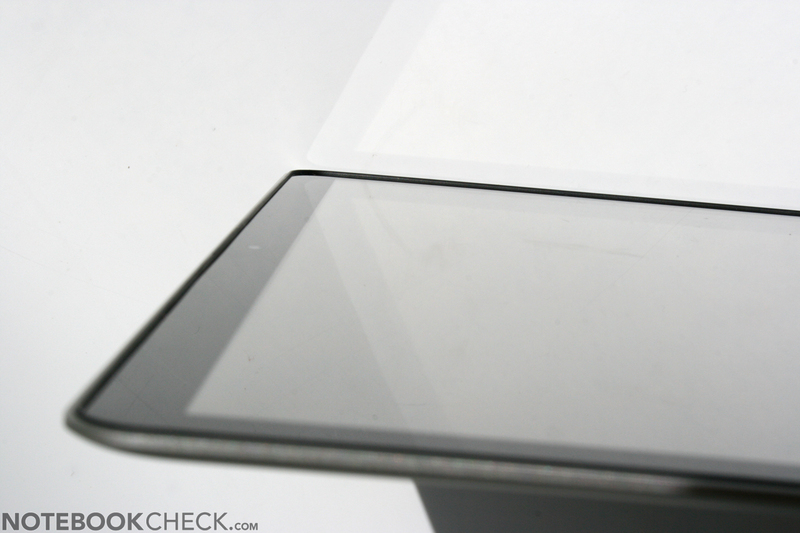 The screen's glass enclosure looks good but is highly reflective. It makes outdoor use rather difficult. But indoors the display is impressive. 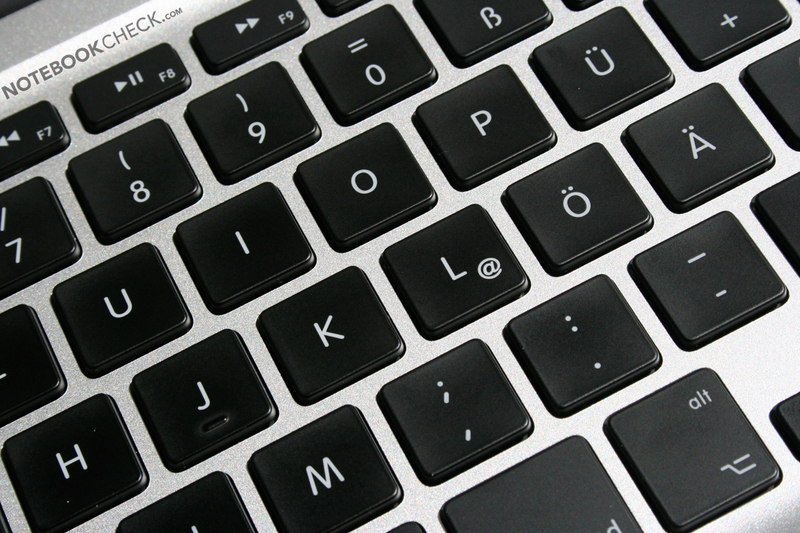 The keyboard is the standard Apple keyboard. The keys are a good size, have a clear point of impact and sit firmly in their place. Thanks to keyboard backlighting, you can also use it easily in the dark. The new Core i7 can process four threads at once and is demonstrably faster than the old Core 2 Duo. Unfortunately the GeForce GT 330M is a little underclocked, but you do get automatic graphics switching in Mac OS X (without flickering). The two fans are very quiet in most situations, which is typical for Apple. But, the underside can get a little too warm. We like the updated loudspeaker system despite its small size. Battery life is also good, though the battery is sealed in. On the left-side of the machine there is a handy LED for the battery charging status. On the right is the DVD drive and the Kensington lock slot. They are all positioned on the left-hand side. ...and is still crafted from a single piece of aluminium. At 2.5kg it's one of the lightest notebooks with a 15" screen and this much power. It's a very good-looking machine. Our only criticism is the relatively sharp front edge. The lid is also exceptionally sturdy. The black display edging is more attractive than the aluminium edging on the matt version. 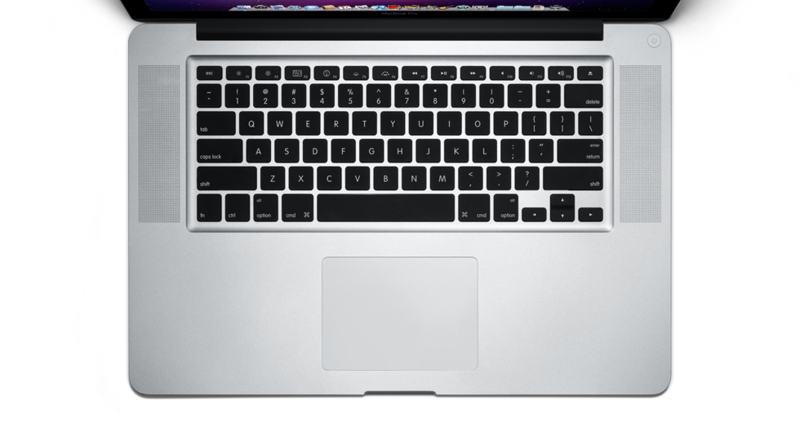 It wouldn't be a MacBook Pro without the glowing Apple logo. The lid's sturdy hinges work flawlessly and open to a good angle. Apple has included a DVD burner but still no Blu-Ray drive. The standard HDD with 5,400 rpm is quiet and fast. Ports are in short supply on the MacBooks. The very confident price is probably the main disadvantage - luxury comes at a cost. The perfectly formed unibody casing is still a masterpiece. A lower price tag - €2,150 for a model with an SSD and with only a year's warranty is pretty brazen. Also, as with all MacBooks - more ports! That there is still no real rival in terms of quality of material; also how practical the new inertial scrolling is. HP Envy 15 - more powerful, similar design, worse quality material and noisier fans. Sony Vaio VPC-Z11X series - smaller and lighter with equally powerful hardware and for a cheaper price. And of course, more reasonably priced Windows notebooks with the new Core processors and GT 330M, like the Samsung R780.